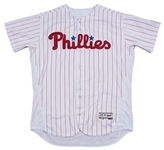 Philadelphia Phillies slugger Ryan Howard wore this white Phillies home jersey in 2016, his final year in the Major Leagues. Howard became a fan-favorite in Philadelphia thanks to his prodigious power, peaking at 58 home runs during his National League MVP season of 2006. 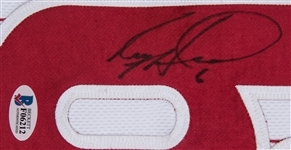 Howard led the Phillies to a World Series title in 2008 and hit 382 homers with the team, the second-highest tally in Phillies history. 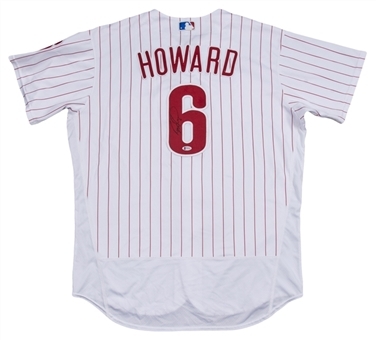 Howard hit the final 25 home runs of his career in 2016, his highest single-season total since 2011. 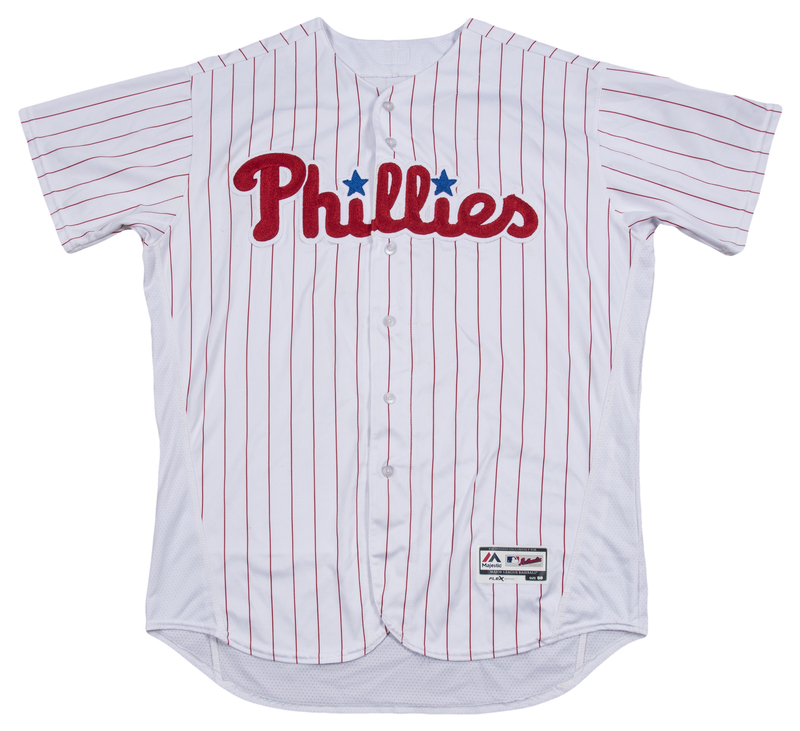 This red pinstriped button-down jersey has “PHILLIES” sewn across the chest in red and blue chenille stitching over white tackle twill. 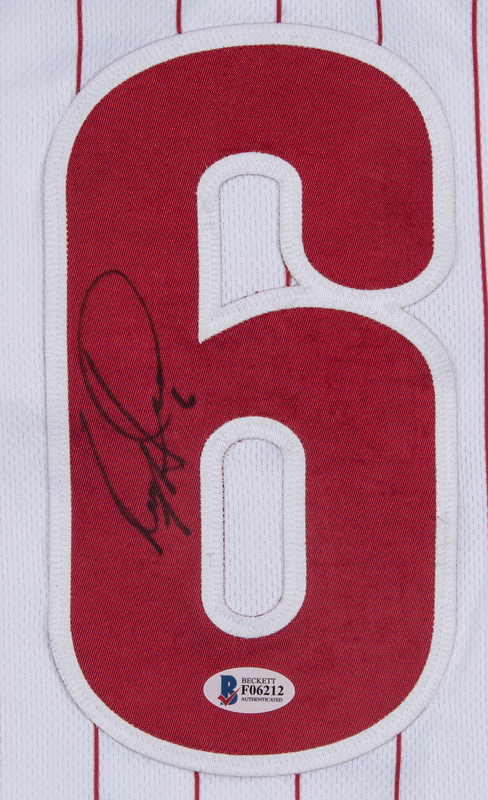 Howard’s number “6” is sewn on the back and the left sleeve in red and white tackle twill. 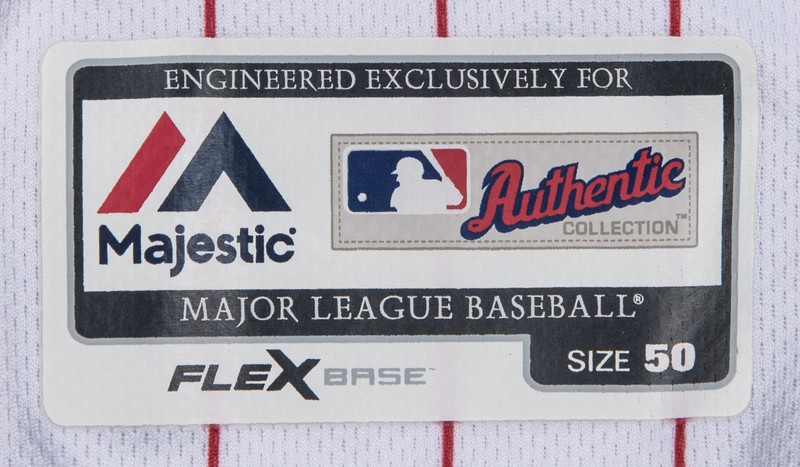 “HOWARD” is sewn across the back shoulders in red and white tackle twill below a MLB logo patch. 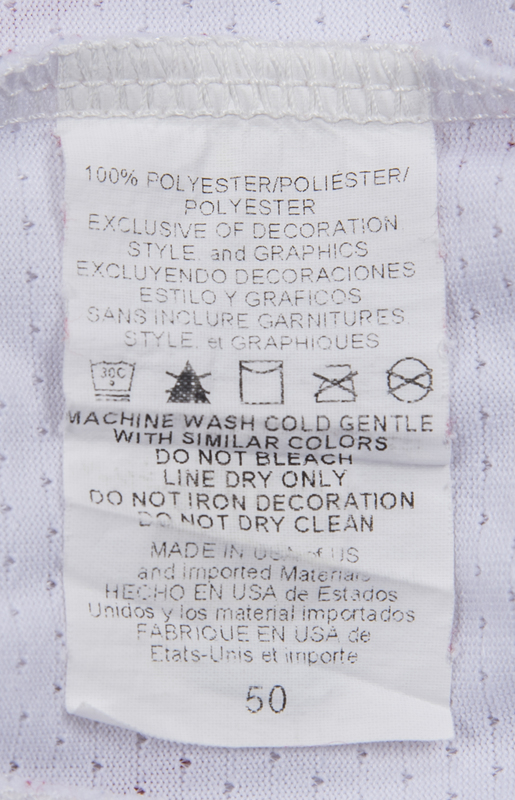 A Majestic FlexBase size “50” tag is applied to the front left tail. 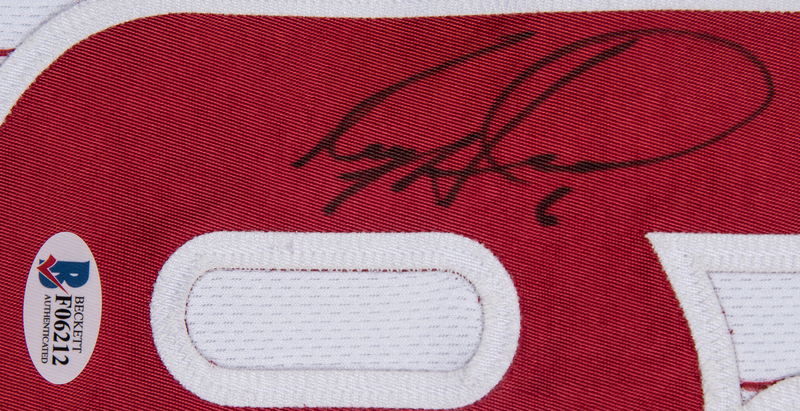 Howard has signed the “6” digit on the back of the jersey in black marker. 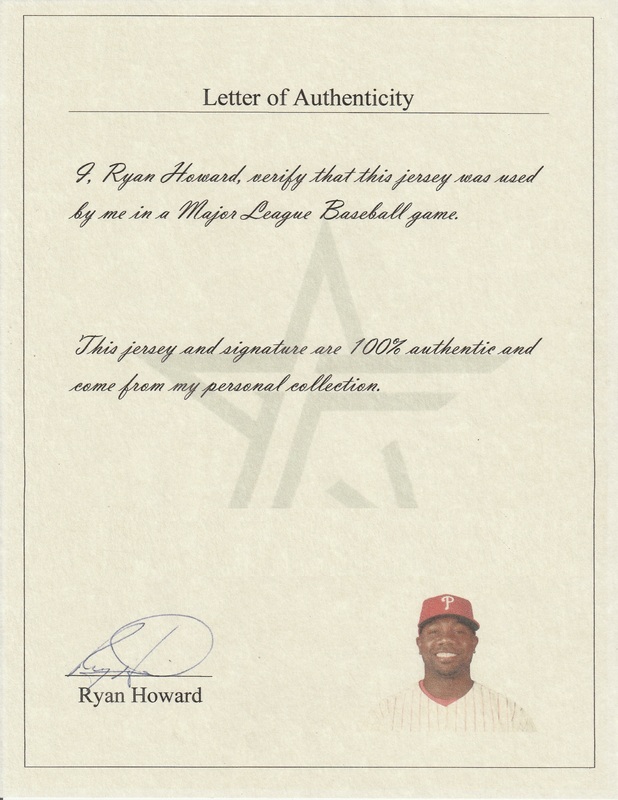 This jersey comes with a COA from Beckett Authentication Services (F06212) for Howard’s signature and a LOA from Ryan Howard.